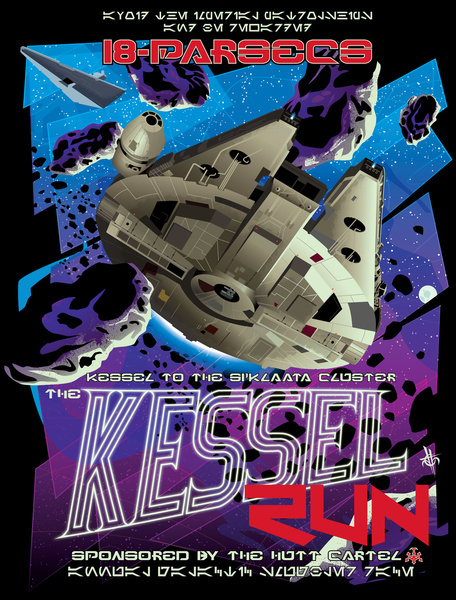 I saw this Kessel Run image some time ago on Juan’s Black Bat Studios web page. I think that this image is very cool and sent him a message to see if it was available to buy as a print. Unfortunately, i didn’t receive a reply. However, i did stuble upon it on Society 6. This entry was posted in Art, Things that i don't have yet... and tagged Art, Black Bat Studios, Juan Fernando Garcia, Millenium Falcon, Millennium Falcon, Star Wars, The Kessel Run. Bookmark the permalink.